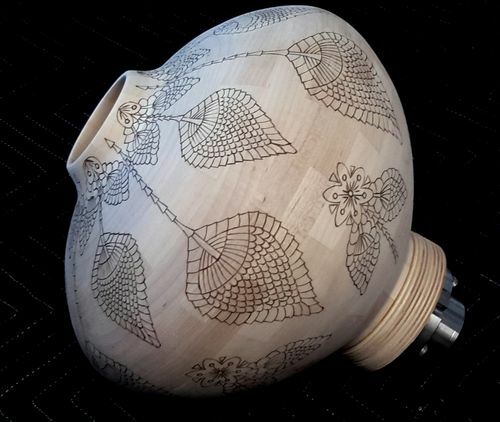 Segmented Pyrography Design #1: Overview of a segmented pyrography project. I found a crochet pattern that I thought would make an interesting pattern on a turning. First step is to make the rings. 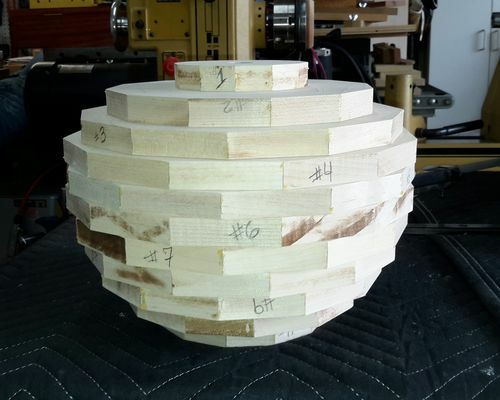 12 segments per ring made with soft maple. Soft maple is very white compared to most other woods and will contrast nicely with the burned pattern lines. 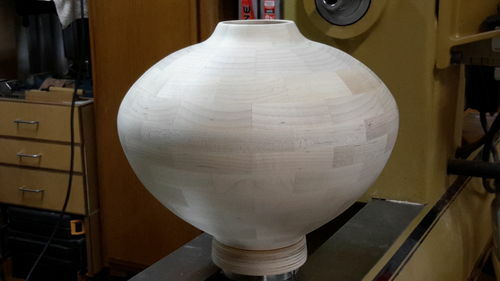 The turning will be made in two halves which makes it much easier to shape the inside. After the two halves are glued together I finish shaping the outside and the top. Now it is time to transfer the design onto the wood. 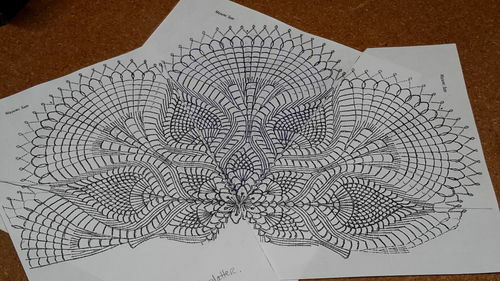 I used graphite paper to trace the design. 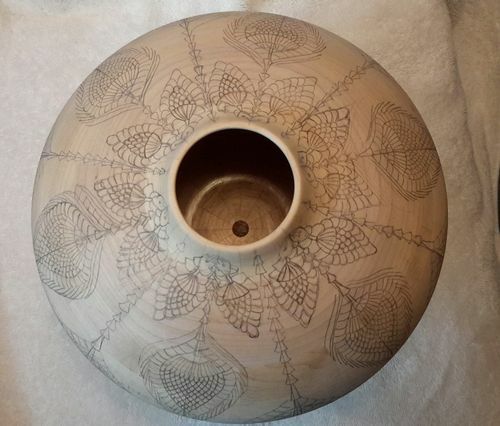 Now it’s just a matter of following the design with a couple of different pyrography pens. This will take some time. 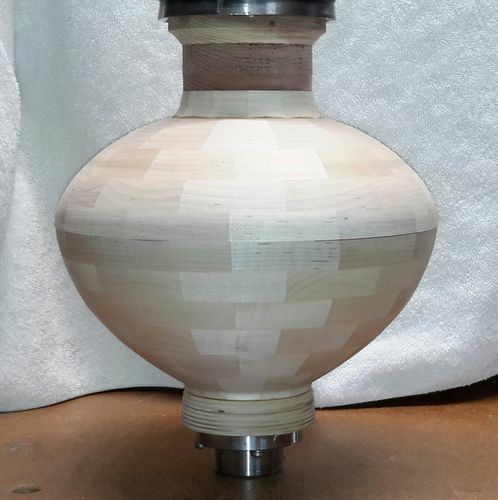 All that is remaining is to spray a finish and then to turn off the bottom. 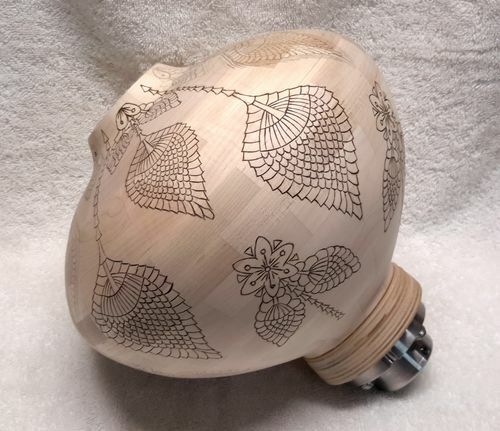 The finished turning will be posted in the projects section in the near future. I am tipping it will be getting Blackie excited too. That’s going to be so nice when you get the finish on there. WOW!!! I like your new art form. This is going to be such a work of art that you will have a difficult time topping it! 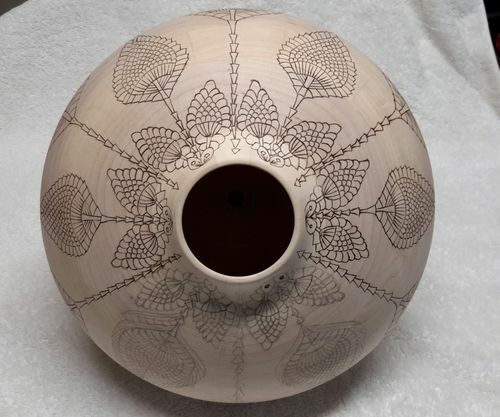 I don’t do a lot of woodturning but I enjoy your contributions. This is awesome! I can’t wait to see your finished product! You must have an extraordinarily steady hand to accomplish such precise work on a rounded smooth surface Julian. 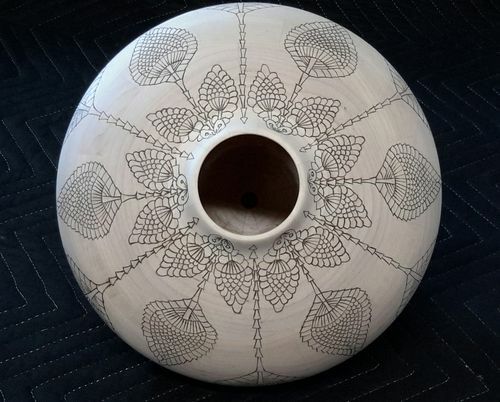 Quite amazing and a very beautiful pattern too. Super nice, great idea using the crochet pattern, you must have a very steady hand to complete the job on a curved surface and also such even lines. The work of a master. Unbelievable, can’t wait to see the end results!